Between your phone, tablet, laptop, and other assorted devices, you probably constantly find yourself with too many power needs and never enough charging ports to accommodate them all. Throw out your power strip once and for all and streamline your charging game with the Kinkoo 10-Port USB Charging Station. Right now, you can pump power to up to ten devices at once with this unit, available now for $37.99 from TNW Deals. Packing 10 high-speed USB ports, your desk will become the perfect charging center for all of your USB-powered devices. With its Quick Smart technology, this station not only identifies your device once you’ve plugged in, but determines exactly how much power to send for the fastest and safest possible charging session. Thanks to a whopping 60W of power, you can not only get your Apple or Android smartphones and tablets powered up, but also your e-reader, smart watches, fitness bands, Bluetooth headphones, and portable speakers — everything, all with one compact charger. 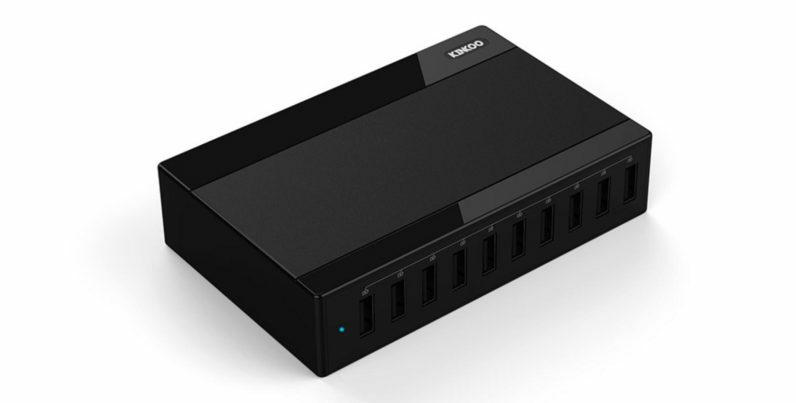 The Kinkoo 10-Port USB Charging Station is usually $49.90, but you can pick it up for just $37.99 from TNW Deals with this limited time offer.